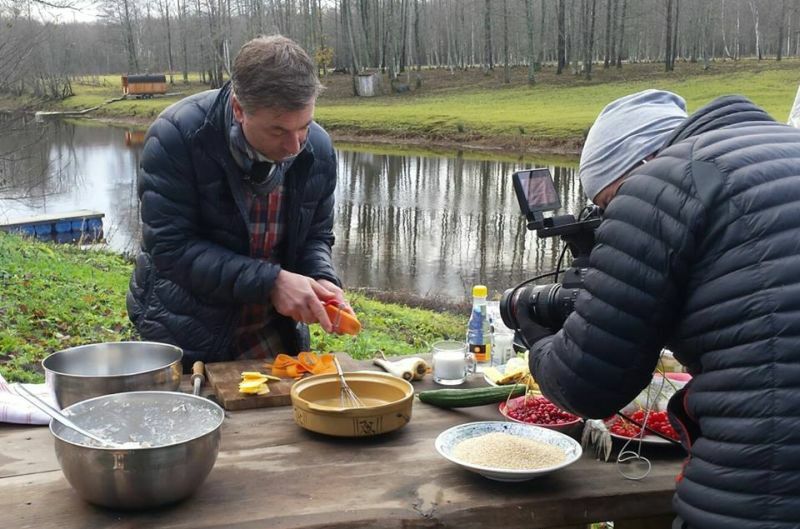 Tareq Taylor, a chef and TV-personality from Sweden visited Soomaa for filming new series for his highly popular show, “Tareq Taylor’s Nordic Cookery”, broadcasted in over 100 countries all over the world. Tareq had a smoke sauna in Karuskose, went canoeing and bogshoeing, picked cranberries and guelder-rose berries. He cooked pike at Riisa Rantso Guesthouse and cider braised pork with chantarelles, apples and Yorkshire pudding at Tori-Jõesuu Siidritalu. Latvijan canoe tourism small company Sofijas Laivas visited Soomaa national park in Estonia on 23.-25. of September as activity supported by SEIC project.